At the University of San Diego, we strive to create an inclusive and welcoming environment for everyone. Below are examples of work being done across campus that support our mission of creating community and our Envisioning 2024 Pathway, Access and Inclusion. 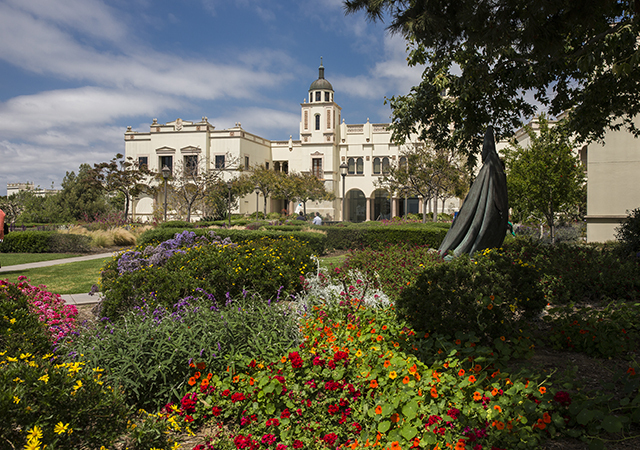 USD is working towards eliminating the concern of food insecurity from our university. The first food pantry opened in 2017 and has now grown to two locations on campus. The UC location includes food as well as school supplies, hygiene supplies, laundry detergent, and a Torero Closet. These pantries are accessible to any community member experiencing food insecurity. 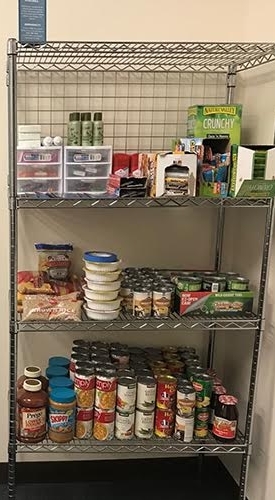 Pantries are supported by Associated Students, HOST Student Organization, Mortar Board, the Torero Renaissance Scholars Program, and through community donations. Goods are replenished by student donations from move-out and items are purchased bi-weekly. Any questions or concerns can be directed to Dr. Cynthia Avery. The Career Development Center (CDC) offers students many free resources to develop and achieve their career goals. A number of jackets are available for students to borrow for LinkedIn headshots or on campus interviews. 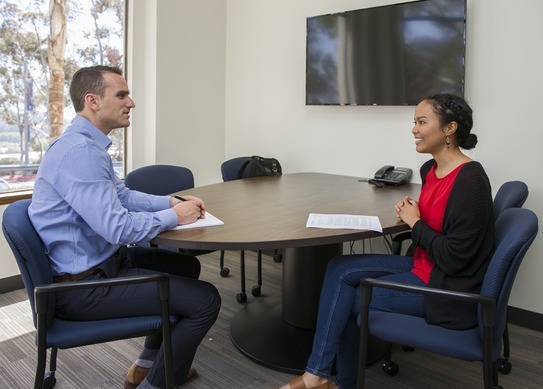 In addition, students can reserve an interview room for any phone or Skype interviews they might need a quiet space for. This is useful for students who are trying to squeeze in an interview in between classes or don’t want to be in a space with roommates during the interview. The CDC also hosts a Career Café twice a year where students can take part in free headshots, résumé reviews by employers, pitch practice with a counseling team, help with the online portal, and more. To learn more about the Career Development Center and their different events visit the Career Development Center site. To reserve an interview space please call 619-260-4654. You may have seen these wooden mailbox-looking structures around campus; these are Little Free Library bookcases. Little Free Library is a non-profit that created a book exchange system with the hopes of increasing access to books for readers of all ages. These not only provide 24/7 equal access to books, but they also help build connections in our community. One of the great benefits of these libraries is that instead of purchasing books, you have the opportunity to take books..for free! And rather than letting books gather dust on a shelf or tossing them in the trash, you can place them in the library and re-gift them to someone else who may need or want them, starting the cycle all over again. Visit the Little Free Library site to learn more about this non-profit and other ways to help. USD has a community garden tucked away behind Mission Crossroads. This is a space for anyone to enjoy the outdoors and partake in some therapeutic gardening. One of the reasons this garden was created is to help combat food insecurity. Food insecurity is a realistic and unfortunate circumstance that happens in colleges and universities across the nation, including at USD. The National Student Campaign Against Hunger and Homelessness advocate for institutions to create campus food pantries, community gardens, food recovery programs, and coordinated benefits access programs; two of which USD has already established. The garden not only contributes items to the food pantries but it provides equal access to food that is cultivated by our community. 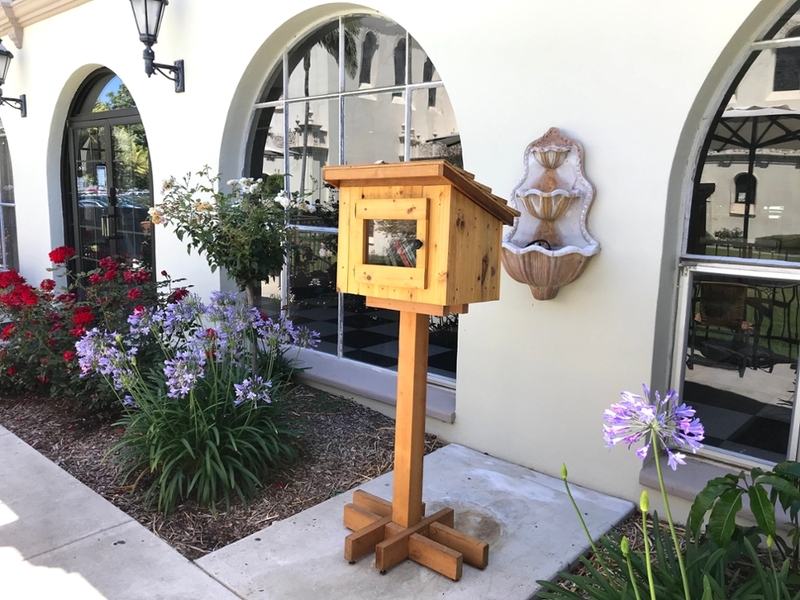 To find out more about this beautiful space and how you can contribute or get involved, visit the USD Community Garden page. The entire campus community, as well as university visitors, are welcome and encouraged to sample ripe fruit from the Garden of the Sea and the community garden behind Mission Crossroads. The different locations contain a multitude of fruit trees including plum, nectarine, apple, fig, pomegranate, grape, and various types of citrus. However, please refrain from harvesting the plant entirely so that others may enjoy the fruit as well. Happy sampling! The Kumeyaay people are the first inhabitants of San Diego, in fact the Kumeyaay once occupied the land that USD is built upon. Today, the Kumeyaay nation remains a vibrant and active part of the San Diego community. This garden offers a chance to learn more about the Kumeyaay and the native plants they relied on for their survival and well-being. The garden is open for everyone to stop by, enjoy the view and spend some time learning about the native plants that are an essential part of the Kumeyaay culture. The Kumeyaay use these plants for food, drink, medicine, tools, clothing and shelter. The Kumeyaay Garden is located on the north edge of USD campus, just north of the Hahn University Center, overlooking Tecolote Canyon. To find out more about the Kumeyaay Garden, visit the Kumeyaay Garden page.